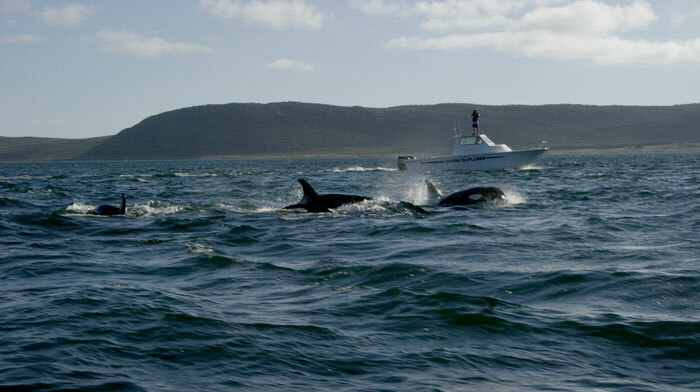 On 12 January 2015 we got a report from a friend in Simon’s Town that a pod of killer whales (orca) had just swam past his house moving in the direction of Cape Point. Last year our team spent three months going to sea almost every day trying to film them for a documentary, but they never appeared. Thus, we were very excited about the report and within 30 minutes we were on a boat with all our camera equipment headed out of the harbour in search of them. After 20 minutes we found the pod near Buffels Bay, Cape Point. When we first saw them, the pod was split into two groups and spread out over a large area, so it was hard to tell how many there were. However, they eventually formed one group and we counted 17-19 individuals of all age categories. 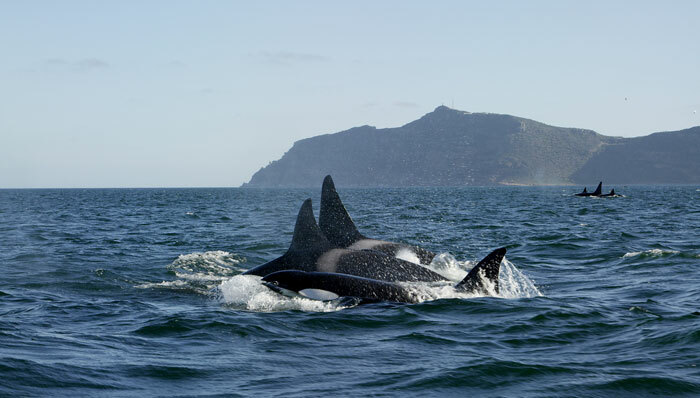 This is by far the largest pod recorded in False Bay. 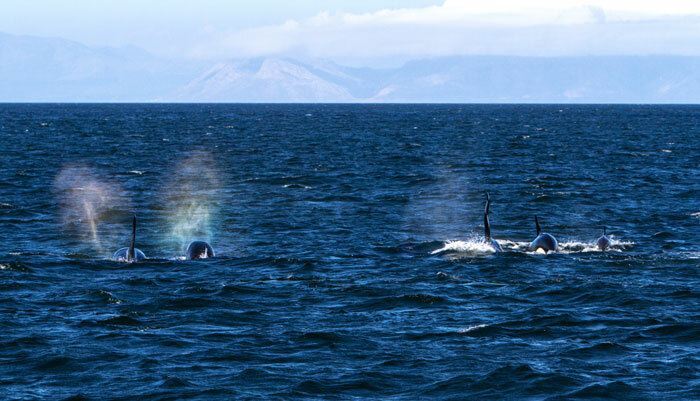 There were two massive males in the pod as well as a calf which we suspect was only a few days old. 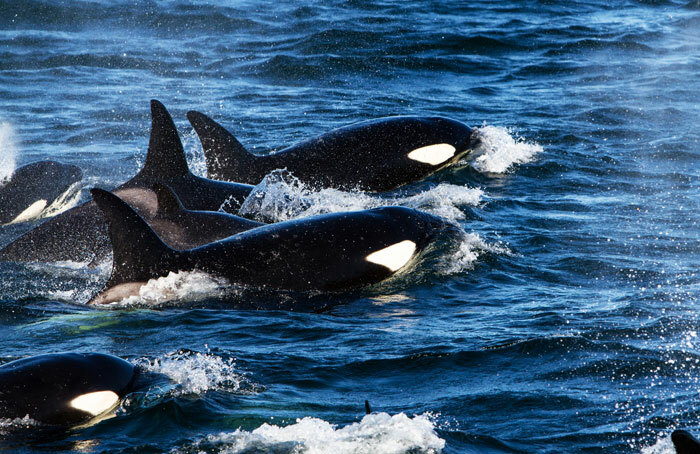 The calf was chaperoned by other members of the pod at all times. 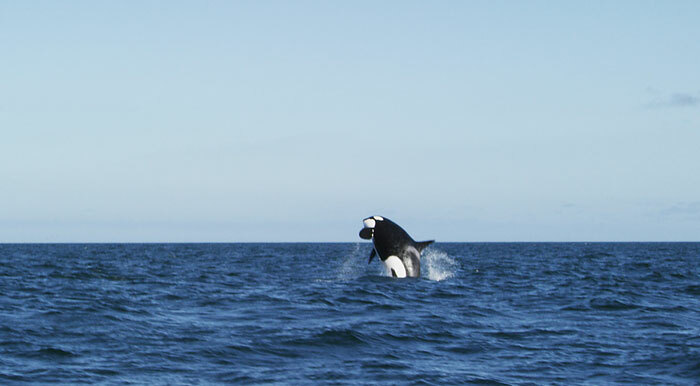 One of the large males had a uniquely shaped dorsal fin which secured him the nickname of “crinkle cut”. 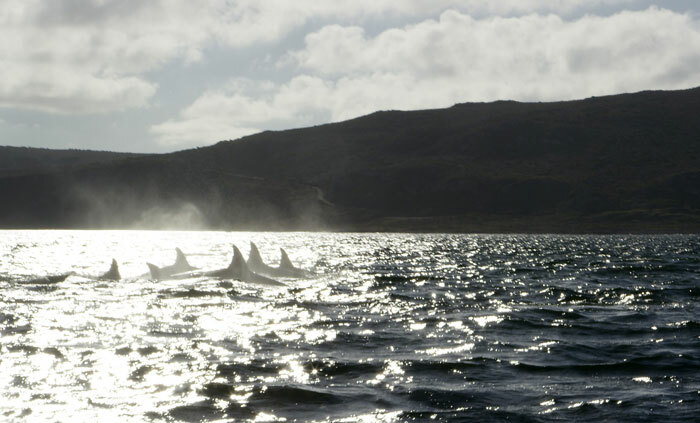 We spent four hours observing them and saw interesting behaviour such as breaching and tail slapping. They milled around in the same general area over that time, often diving and splitting up into two groups and then reforming the main group again. What was incredible to see was the degree of synchronisation among all the individuals as they surfaced and dived together. 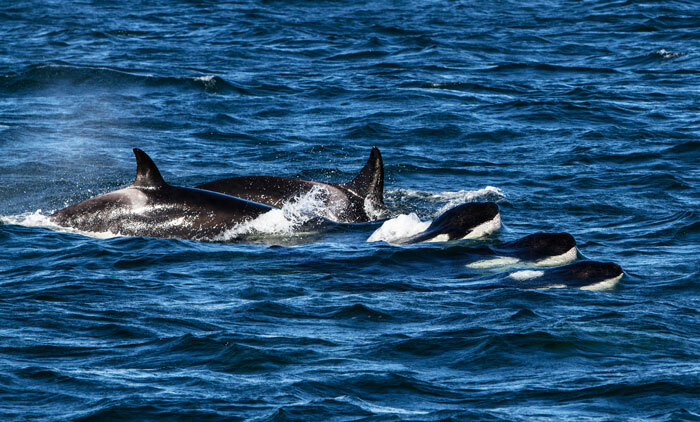 Other orca pods observed in the bay on previous occasions were seen hunting common dolphins, but these weren’t doing so on the day and their behaviour was very different to those pods. We speculated that perhaps they were hunting fish or squid in the area, but hopefully they visit again and we can learn more about them. On the same day there were many reports of other marine activity in False Bay, with large catches of yellowtail and cape salmon (geelbek) and there were even eight shark sightings by the Shark Spotters along the coast from Glencairn to Muizenberg. 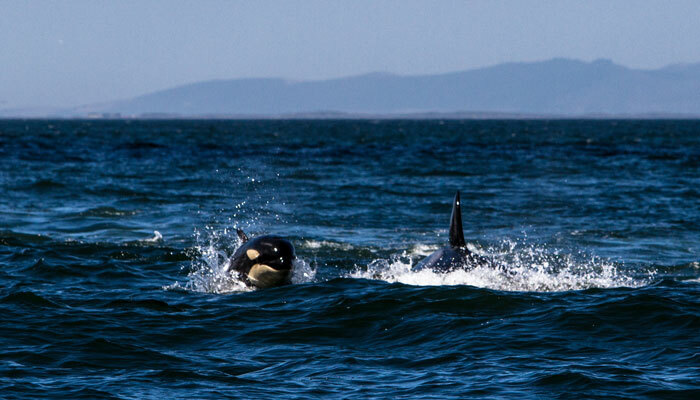 Orcas in other parts of the world have been documented killing sharks, often smaller species, but in one case there is even a record of an orca killing a great white shark. 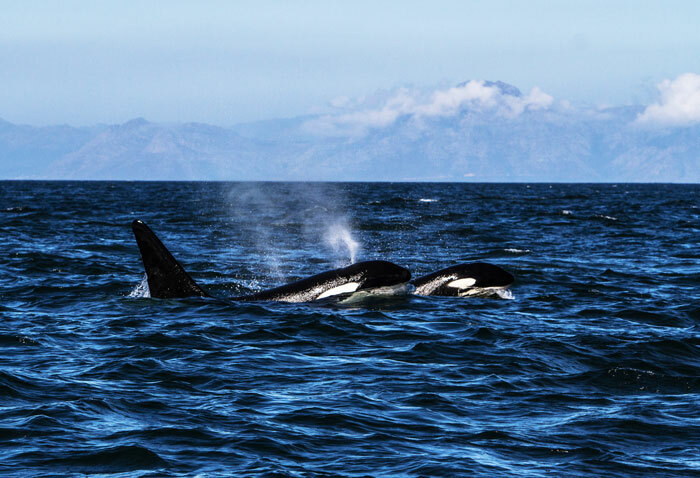 How these two apex predators get along in False Bay we don’t know, and some have speculated that the presence of the orca might impact the behaviour of the great whites. 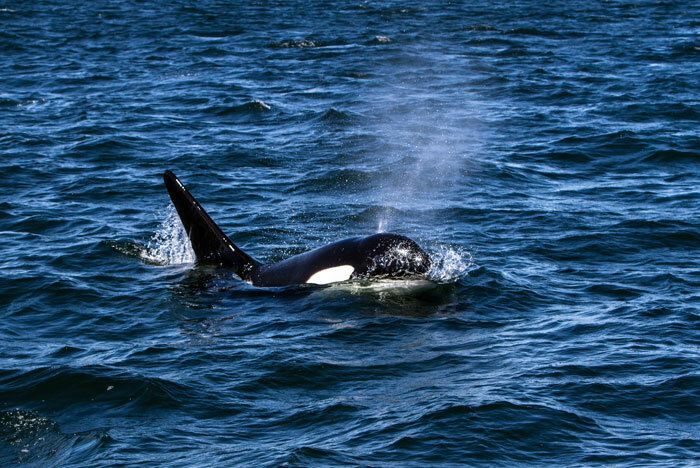 One thing is for sure, it is a privilege to see the orca in the wild, they are truly magnificent and it makes one feel rather humble in their presence. In the Guest Blogger profile, you'll see fresh and exciting content from a range of contributors who have submitted their content to us on a once-off or temporary basis, including press releases, campaigns and exciting adventure and travel tales!